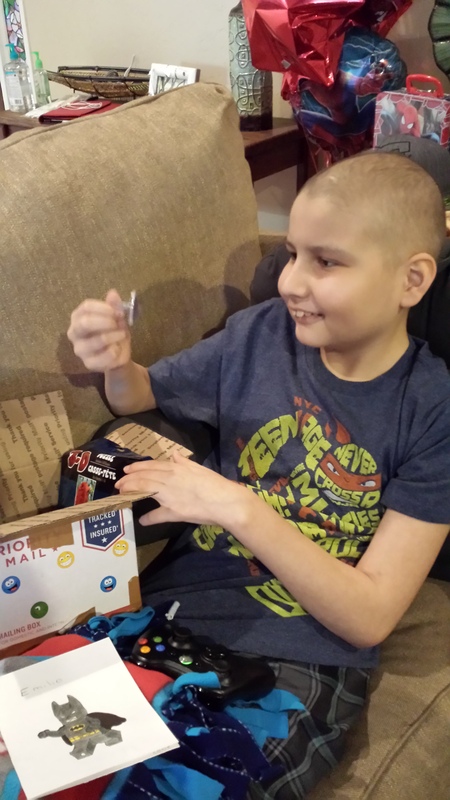 This cancer warrior had just gotten home from being in the ER from being sick, when he got a care package. His mom said that it made him smile and that it was perfect timing because he hadn’t smiled because he had been so sick. That is what Cards of Hope is all about…bringing happiness, love and hope. Check out his smile.